Find the perfect mobile phone for your needs. Bigger phones have the edge in our test, but what do you really need? Here’s what you should know about selecting a good model, finding the right plan and choosing a provider. 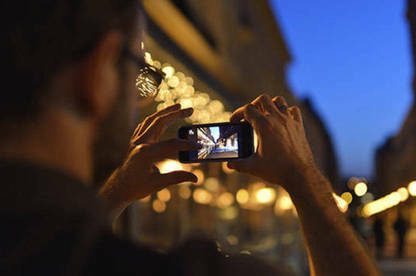 We also check out the current trends and provide tips for getting the most out of your phone’s camera. Snapshot: The Nokia 1 (TA-1047) is an Android phone with a 5 megapixel camera and a 480x854 screen. How does it rate? Snapshot: The Nokia 2 is an Android phone with a 8 megapixel camera and a 720x1280 screen. How does it rate? Snapshot: The Nokia 2.1 is an Android phone with an 8 megapixel camera and a 720x1280 screen. How does it rate? Snapshot: The Nokia 3.1 is an Android phone with a 13 megapixel camera and a 720x1440 screen. How does it rate? Snapshot: The Nokia 5, 16GB is an Android phone with a 13 megapixel camera and a 720x1280 screen. How does it rate? Snapshot: The One Plus 5T is an Android phone with a 16 megapixel camera and a 1080x2160 screen. How does it rate? Snapshot: The Nokia new 6.1 (2018) is an Android phone with a 16 megapixel camera and a 1080x1920 screen. How does it rate? Snapshot: The OnePlus 6 (128GB) is an Android phone with a 16 megapixel camera and a 1080x2280 screen. How does it rate? Snapshot: The OnePlus 6 (64GB) is an Android phone with a 16 megapixel camera and a 1080x2280 screen. How does it rate? Snapshot: The OnePlus 6T is an Android phone with a 16 megapixel camera and a 1080x2340 screen. How does it rate? Snapshot: The Nokia 7.1 is an Android phone with a 12 megapixel camera and a 1080x2280 screen. How does it rate? Snapshot: The Honor 7C is an Android phone with a 13 megapixel camera and a 720x1440 screen. How does it rate? Snapshot: The Nokia 7 Plus (TA-1046) is an Android phone with a 12.2 megapixel camera and a 1080x2160 screen. How does it rate? Snapshot: The Honor 7X is an Android phone with a 16 megapixel camera and a 1080x2160 screen. How does it rate? Just want to call and text? Some people are just looking for a simple phone that won’t break the bank. So we’ve also calculated simplified scores to find out which phones are best at the basics. They may be cumbersome to hold, but bigger phones have the edge in our tests. When it comes to performance, larger phones have more useable screen real estate and can house bigger batteries for longer running times. Their larger screens show more detail in your photos and are easier to read and work on. However, this is balanced by the annoyances of a phone that isn’t easy to use with one hand or can fit in every pocket. But the big phone trend is here to stay; it’s now so prevalent that what used to be a regular-sized phone is now called “compact”. Our table lists phones as large, medium or small. Phones with a surface area of 70cm² or less are small. Medium phones are between 70 and 90cm², and large phones are 90cm² or greater. Our lab scores phones with big screens higher than smaller phones because the extra size allows you to do more. For example, the Samsung Note phones and iPhone Plus models allow you to multitask with more than one app on screen at a time. This type of extra functionality, along with bigger keyboards, makes them more versatile. To see what we found in our test, become a paying Consumer member or log in at the top of the page. Each new version of a phone moves the older model closer to obsolescence. Because of this, for each year of a phone’s age we lower the phone’s scores. Where a phone has been replaced by a newer model but is still scoring well we have listed it as “Worth Considering” rather than “Recommended”. Where a phone has been replaced by two newer models, we still list it but don’t give it either tag. On the other hand, if you don’t want to spend more than a thousand dollars on a newly released model, take a look at last year’s model. 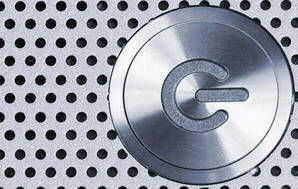 The release of a new model is usually accompanied by a large price drop for its predecessor. These phones are still good! You get 90 percent of the features of the latest phone for 50-75 percent of the price. Premium phones tend to enter the market at the $1200 mark. This is expensive for a product that’s potentially going to be superseded within a year. On the flipside, if you’re in the market for a high-end phone, you can get stuck in the loop of “I’ll wait for the next one”, because the next one will always be better. Fingerprint sensors have become the new norm. The home or power button on many new phones contains a small sensor that uses your fingerprint in lieu of a password or PIN to unlock the phone, log in to secure apps, or make purchases. The Apple sensors are the fastest we’ve tried; so fast in fact that sometimes we accidentally unlocked the phone when all we wanted to do was turn the screen on to see the time. Face scanning is the new way to unlock your phone and different phones do it in different ways. Some scan your image and recognise you due to facial features, such as the distance between your eyes; this version can sometimes to unlocked using a picture of your face. Some scan your irises, which are as secure to use as fingerprints. Both those types have trouble with low light, distance from the camera, and may require you to remove glasses. The last type projects a grid of infrared dots on to your face to create a 3D map that is unique to you. This version seems to work the best, without any of the previous issues. Water resistance lets you use your phone in the rain or the shower, not worry about spilling drinks on it, and take underwater photos ... as long as you aren’t too far under water. A lot of leading brands now offer phones with this feature. 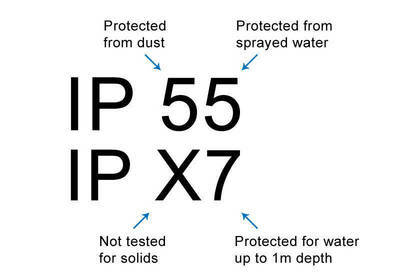 They all have roughly the same waterproofness rating (IP68). 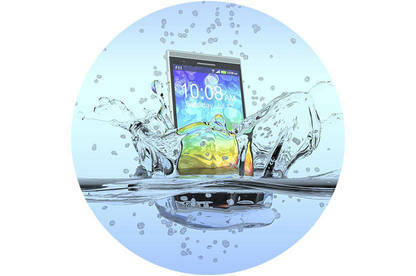 Previously, it was claimed you could swim with these phones, but most makers have now backed off from those claims, hence calling them "water resistant" rather than “waterproof”. Camera quality continues to improve. Even “regular-sized” modern phones have more room for larger image sensors, and have space for specialised LEDs for flash photography. Annoyingly, many phones still have cameras that project from the rear of the phone, making the devices wobble when placed on flat surfaces. An interesting trend is phones having 2 cameras (or more), with each performing a specific function in tandem to create better images. While most camera improvements have happened in the rear camera, front-facing cameras have been upgraded for those all-important selfies. Photo-processing software has also been updated, so when you snap a photo of yourself you may notice your skin smoothed out and eyes slightly enlarged. Some phones detect faces in shots and adjust the zoom accordingly. So if you have three friends in a selfie, the shot automatically widens to accommodate them. Assistants like Siri (iOS), OK Google (all systems), Cortana (Windows) and Bixby (Samsung) are everywhere now and are listening for your commands. These programs help by doing basic searches (“What’s the capital of Turkey?”), taking dictation (“send a text to Brian”), and running basic tasks (“Play me some music by Lorde”). I often use my phone’s assistant when cooking to set timers and do metric measurement conversions. They can also get in the way. Siri and Bixby have a habit of popping up when they aren’t wanted, and Siri is famous for not responding when called. They don’t work without internet access either. We’ve had a quick play in the office with these phones and gadgets. If you’re in the market for a mobile phone, here are some points to consider. Battery: Smart phones are known for using a lot of battery power and will require charging much more often than non-smart phones. Battery life can be extended by turning off certain features like GPS and WiFi when not needed. Ease of use: If you can, try out the phone in a store first to see how easy and intuitive it is to do what you want. The smaller the phone and bigger your fingers, the harder the touch screen is to use. Reception: If you are going to use the phone in an area where there are weak signals, look closely at reception ratings (these are included in our test results). You could also ask friends or business colleagues with phones on various networks to see if they can get a signal at your house or work. The reception of phones is affected by which way the phone is facing (towards a cell site), and whether the user's hand is covering the aerial. So if you're struggling to get a clear signal in a rural location, try turning the phone to face different directions, and make sure your hand doesn't cover the top of the back of the phone. Portability: Bigger screens give you more usable real estate and make images look amazing, but the larger phones don’t fit comfortably in your pocket or in your bra. They’re also harder to use with one hand. We strongly recommend trying out these big phones before you buy one. Text input options: All smart phones offer full QWERTY touch screen keyboards. Annoyingly, many default keyboards are awful, with poor layouts or confusing functions. However, there are superior alternatives you can download. Our tech writer Hadyn Green recommends 2 to try on both iOS and Android: Gboard by Google, and SwiftKey. 4G and LTE: 4G (fourth generation) or LTE (Long Term Evolution) is technology that allows for much faster data transmission than older 3G networks. All the big telcos have 4G networks across the country, though some areas are still only served by 3G. To access it you will need a 4G compatible phone. While the speeds can be much faster the data charges remain the same, so be aware of how much you are using. Browsing: Most phones come pre-loaded with their own browser so your favourite sites may not look the same. Also many sites (such as Consumer.org.nz) are mobile-optimised so they'll look better on your phone. 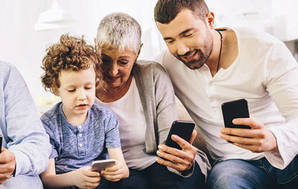 Games: The higher connection speeds, large screens and improved memory of modern phones are all the things you need to play increasingly impressive-looking games. However, game quality varies from title to title. If you’re interested in playing games on your phone, try searching the internet for the ones you’re interested in first – it could save you some money. Connectivity: You may want to connect your phone to a Bluetooth speaker or other device. If so make sure the phone’s Bluetooth connections are the right ones (and not too old). The same is true when connecting to your home WiFi network. Memory and storage: Memory is sometimes used to describe both RAM (used for processing) and storage (the space used to keep your stuff, like apps, photos and music). Generally, you want at least 1GB of RAM in your phone. When phones are described as having 16GB or 32GB this refers to storage. Extra storage capability comes in the form of external memory cards. Memory cards come in many sizes, usually between 4GB and 16GB. Additional cards can be bought from most electronics retailers. Which mobile and internet service providers do Kiwis rate the most? While a fast connection is great, good old-fashioned customer service goes a long way too. Find out which mobile and internet providers had the most satisfied customers in our latest telco survey. Only Sony recorded lower-than-average reliability, with 18% of phones needing repair. Of the big two, 85% of Apple owners were very satisfied, beating Samsung (72%). Samsung wins out in value for money though: 61% of Samsung owners thought their phone offered excellent value compared with 50% of Apple owners. For more on mobile phone reliability, see our survey. Mobile phones can be bought directly from network websites or from a variety of licensed retailers. Shop around – deals are often available. TradeMe usually has dozens of phones for sale, most of which are offered by individuals or parallel importers. If you buy from this source, consider what sort of help you would get if something goes wrong. Private sellers are not covered by the Consumer Guarantees Act, and although the law does apply to commercial sellers, if they’re not at a physical address near you it may be hard to get the law enforced or get a broken phone repaired.